Year after year, France easily makes it to the top positions amongst the most favorite travel destinations for tourists of all ages. Paris, Bordeaux, Lyon or Toulouse receive thousands of visitors that enjoy their impressive architecture, their rich cultural life and their stunning views. Strolling by the river Seine, sipping a glass of wine in Bordeaux or falling in love with the medieval city of Carcassonne are just some of the experiences that a trip to France can offer. 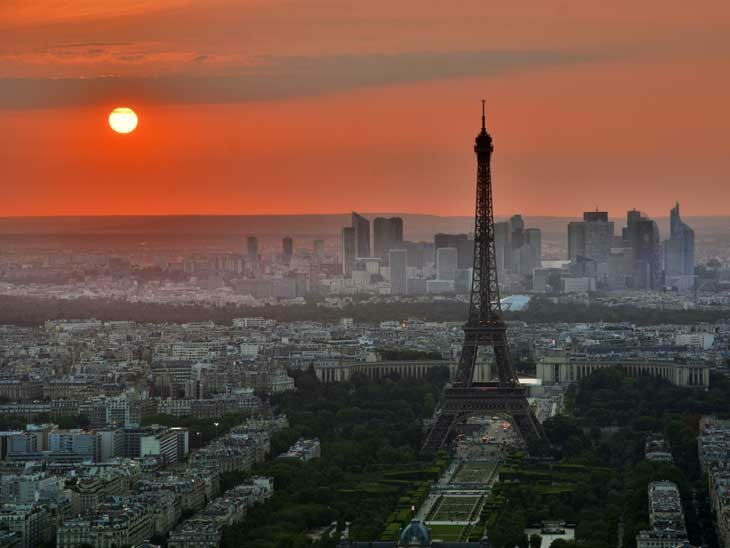 So, if you plan on travelling to this European country in the coming months, check out our article to discover some of the most bewitching destinations with which France will seduce you. With some of the most recognizable buildings and monuments in the world, Paris couldn’t be missing in our list of destinations. Paris welcomes visitors with a never-ending array of things to see and do. Stylish and charming, elegant and romantic, Paris will seduce you with its lovely boulevards, its beautiful buildings and stunning panoramic sights from the Tour Eiffel, the Arc de Triomphe, the beautiful Sacre-Coeur or the absolutely magnific river Seine flowing through the city. Paris has an unforgettable ambiance. The gentle River Seine is flanked by centuries-old churches and buildings, cobbled walks and graceful bridges. It’s a splendid city that is world-famous for its vast collection of art pieces. The Louvre, the Orsay Museum, the Cluny Museum or the Rodin Museum are must-sees for any tourist in France. Their exhibition halls are home of some of the most famous and beautiful works of art and artifacts from ancient civilizations that take visitors to a journey across the ages. The stunning art collections of the Louvre, the superb medieval treasures at Cluny, the beautiful Impressionists and Post-impressionists at Orsay or the wonderful vitraux at Sainte Chapelle or Notre Dame are definitely worth seeing. There’s probably no better way to enjoy Paris as a local than strolling around the scenic and history-rich quartiers such as the Latin neighborhood or Montmartre. Having a coffee and a croissant while watching people passing by will definitely make you feel as a Parisian. 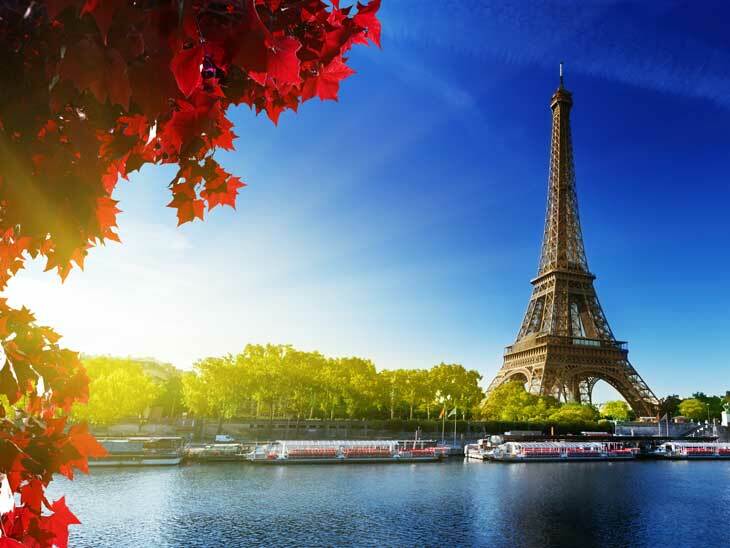 Known as the City of Lights and considered one of the most romantic cities in the world, Paris is also an interesting destination for families. Not only Disneyland Paris will delight them but also the Luxembourg Gardens or the chance of taking a spin on the old-fashioned carousel in Tuileries Gardens. Another enjoyable experience for all the family is to take a boat ride along the River Seine! But France has much more to offer than its capital city. There are many other fascinating cities and towns to visit, explore and discover. And even though driving in Paris is not the best of ideas due to its great network of public transport, you should consider renting a car to explore the many charming destinations in France at your own pace. If this seems to be a good option for you but you’re afraid that renting a vehicle abroad and the additional costs involved may blow up your budget, you can find affordable car rental damage insurance here. Located only 22 kilometres from Paris and famous for being home of the famous Château de Versailles, the city of Versailles is a prevalent tourist destination. The beauty of the palace, its elaborate and exquisite landscaping and ornate architecture will blow you away. King Louis XIV, Louis XV and Louis XVI and their court made the Chateau de Versailles their home between 1682 and 1723. It served as Consulate after the French Revolution and it is now a Museum of French Monarchy. 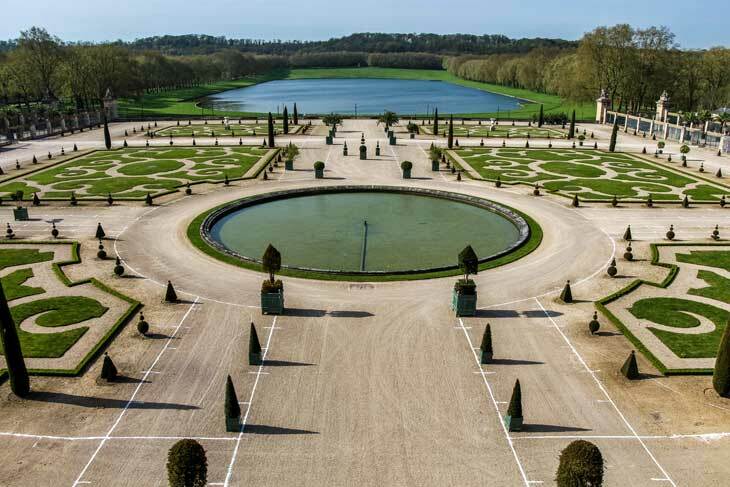 The guided tours available will take you through the apartments of the King, of the Ladies (especially Marie-Antoinette’s), the galleries, the royal Opera, the Trianon with its stunning pink marble, the Orangerie, the exquisite gardens and the beautiful fountains. Needless to say, every single room is simply breathtaking and the elegant and glamorous royal atmosphere can be appreciated in its full glory. Even though the Chateau is the main focus of attention in the city, Versailles is worth visiting as well. You’ll discover that it is rather posh and refined as if the royal flair still survived. The highlights you just have to visit are: the Notre-Dame de Versailles church, the City Hall or the Place du Marché du Notre-Dame, where you can find fruit, delicious French cheese, olives and local wine brands. Wine lovers can’t skip adding Bordeaux to their travel bucket list of French destinations. Known as the capital of wine and located in the Aquitaine region in the SW of the country, it’s a city bursting with wine bars. Take a stroll on the banks of the Garonne river and climb up the stairs of Pey-Berland Tower. Once at the top you’ll be able to appreciate stunning panoramic views of Bourdeaux. The city’s architecture is striking with buildings constructed in the XVIII and XIX centuries. Some of the city’s most impressive buildings are the beautiful Place de la Bourse and the Porte Cailhu, which once was part of the medieval city wall. Bordeaux is a beautiful neo-classical city. Its Grand Theatre is simply superb, the old neighborhoods are absolutely charming and the cathedral is peaceful and inviting. Don’t miss the Museum of Fine Arts and the Museum of Aquitaine. La Cité du Vin is probably one of the city’s most iconic buildings and you should definitely add to the list any of the 350 landmarks mentioned as historic monuments. Needless to say, food in Bordeaux is delicious so make sure you make of it an important part of your trip. With plenty of restaurants and cafés, you’ll have lots of chances to try the tasty local dishes and wine. Toulouse has a vibrant and joyful atmosphere probably because it is extremely popular amongst students and young people. Known as the Ville Rose or the Pink City, Toulouse is another bewitching French destination. The Place du Capitole is its most impressive and famous square and a good starting point for a tour around the city. The Japanese Garden, situated nearby, offers a calm and relaxing spot where you can enjoy the nature around you. If you love architecture, the Basilica of Saint-Sernin and its Romanesque style will seduce you. It’s almost impossible to get bored in Toulouse! As the headquarters of French aviation giant Airbus, it offers plenty of interesting things to do related to aeronautics. There are also stunning museums with large and extensive collections devoted to fine arts and historic artifacts. 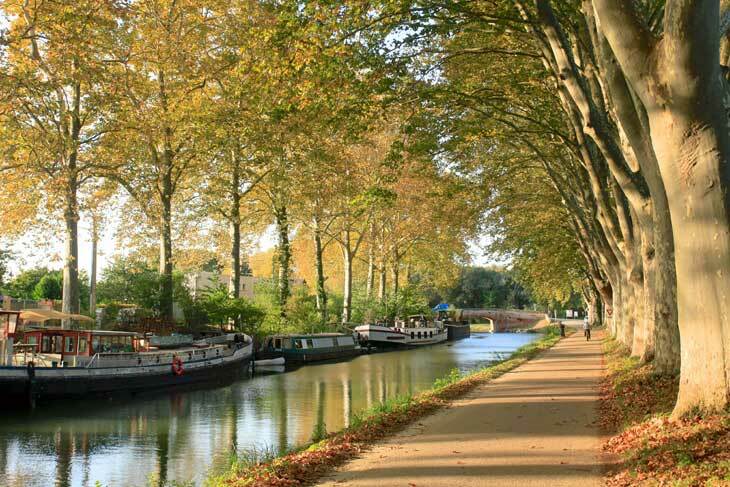 And for an enjoyable morning or afternoon, take a stroll and explore the beautiful Canal du Midi or join any of the boat tours that are offered. Toulouse is the main city in the west of Languedoc. Its rich cultural and religious past blends with a strong view onto the future. Exploration and space are celebrated at the Cité de l’Espace. There you can walk inside a Mir space station mock-up. You can also visit the Usine Aerospatiale Clément Ader, a high tech factory where Airbus passenger jets are assembled. It’s the fourth largest city in the country and it’s lively and joyful. Bustling markets, a vibrant music scene, a picturesque and peaceful old town and a vibrant modern profile, make Toulouse a fascinating French destination. 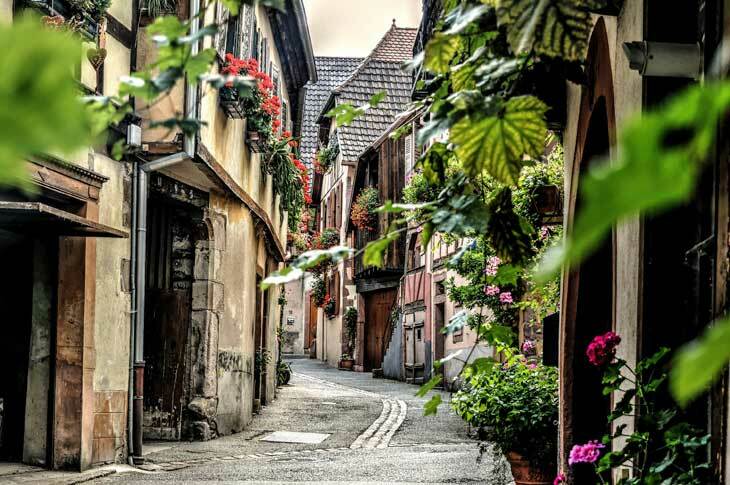 It’s a medieval town, with energetic and artistic streets. Its contemporary art gallery, housed in a converted abattoir, contains fabulously light, airy rooms making both the art and the building worth a visit. 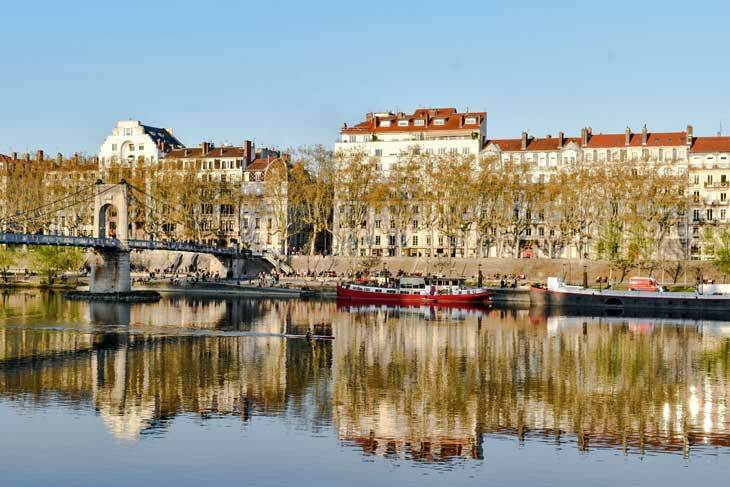 Located in the Rhone valley, Lyon is the second biggest city in France. Once a major trading and industrial city with silk as the main production, today is known for being a major gourmet destination, its vibrant buzz, its exceptional museums and unique attractions like the traboules (secret covered passageways that lead you hidden through the city) and the great murals painted on buildings all throughout the city. The Old Lyon is absolutely charming. You’d love to climb the old streets of the Fourviere and admire the stunning panoramic views of the city and its red-tiled roofs from above and spend some time at the striking Notre-Dame de la Fourviere basilica. Another interesting attractions nearby is the beautiful Place Bellecour. Lyon is also famous for its attractive and varied cultural scene. It’s a charming city with interesting museums such as the Musée Miniature et Cinema where you can appreciate Hollywood movie props and elaborate miniature models. History lovers will be naturally drawn to the Roman ruins in Lyon, including its moving amphitheater. Besides, don’t miss the remarkable Gallo-Roman museum located on the hill of Fourviere. Lyon is a great city for walking around, taking in the different areas from the Croix-Rousse to the old silk weavers’ district and the many other districts of the city. The old and the new live together and the rich cultural heritage of the city as well as its delicious food scene, make it a must-see destination in France. Lyon will seduce you with its cobblestone streets. 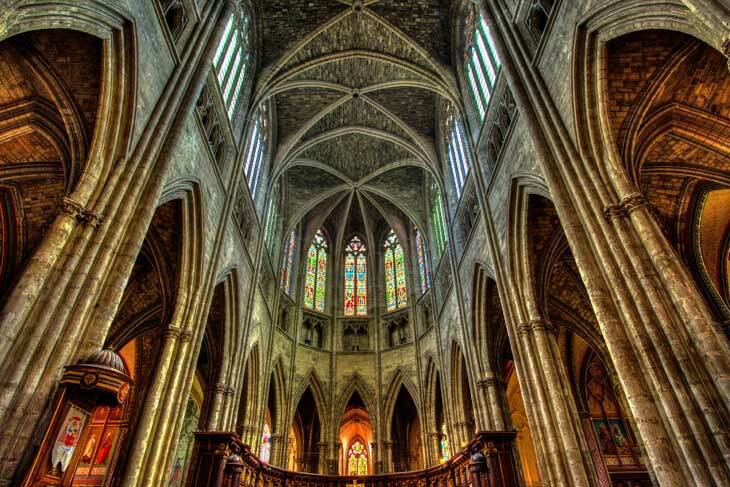 The Cathedral Saint Jean with its gothic architecture is gorgeous. Don’t forget to look up and admire its fantastic astronomical clock! Located on the German border, just across the Rhine River, Strasbourg fascinates visitors with its blend of the two cultures and a delicious food scene that brings together the most interesting aspects of the French and German cuisine. 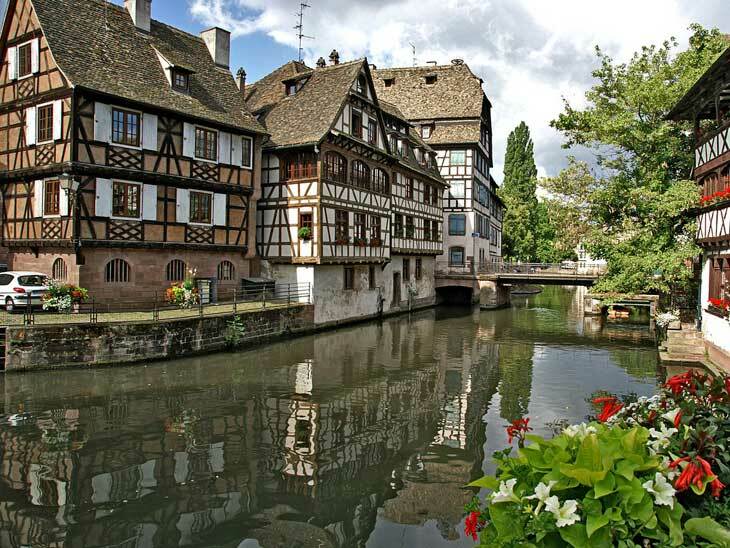 Strasbourg has a remarkable cathedral, scenic streets and a beautiful waterfront. Visiting it during November and December also means that you’ll be lucky to enjoy one of the most stunning, charming and romantic Christmas markets not only in Europe but also in the world. The city is proud of its distinctive historic center as well as of its modern skyscrapers. Its Notre-Dame cathedral is absolutely stunning with its XII century Gothic spire and XII to XIV stained glass windows. The Palais Rohan, which used to be the Bishop’s Palace, is the perfect place for a walk through the France of the XVIII century. Needless to say, the capital of Alsace has a stunning historical center, which contrasts with the glass modern buildings. It’s an ideal city to explore by foot so don’t forget to include some comfortable shoes in your luggage. La Petite France district with its maze of interesting streets is charming and fascinating. The Museum of Modern and Contemporary Art is a quite new attraction that you should add to your bucket list. The Grande Ile is where you can find the Cathedral Our Lady of Strasbourg, the second-tallest cathedral tower in France and the sixth tallest church in the world. It’s a fine architectural highlight and definitely another must-see while visiting this lovely city. Last but not least, the confluence of the German and French cultures contribute to delicious food traditions in Strasbourg. Restaurants and brasseries invite you to try tarte flambée, cafe au lait with a kugelhopf and many other delicious local dishes. Colmar is a beautiful tiny village located in Alsace, close to the Swiss and German border. It’s so small that you can easily walk around the city in half an hour. Take a small gondola ride on the small river and then visit the local market and buy lots of cheese, fruit and veggies for a lovely picnic! It’s a well-preserved old town and it’s famous for its varied architectural styles: Classicism, Renaissance, Neo-Baroque, Gothic, etc. There are plenty of interesting and charming churches and museums in Colmar. Amongst them we can mention: the stunning Unterlinden Museum and its Isenheim Altarpiece by Matthias Grünewald, the Bartholdi Museum, the Pfister House, the Eglise St Martin, the Maison des Tetes or the Protestant Temple of St Matthieu. Avignon is not only one of the largest cities in the south of France but also one of the most beautiful ones. It’s world famous for its bridge, the Pont st Bénézet. It used to spanned the river Rhone but now only four of its 22 arches can be seen. The view of the bridge with the cathedral Notre Dame des Doms and the Palais des Papes is one of the highlights of any visit to Avignon. Another less obvious attraction is the Rue des Teinturiers, a lovely cobbled street that runs along the narrow Sorgue River. Four waterwheels remain from the dyers era and it is one of the best places to sit and out outside. 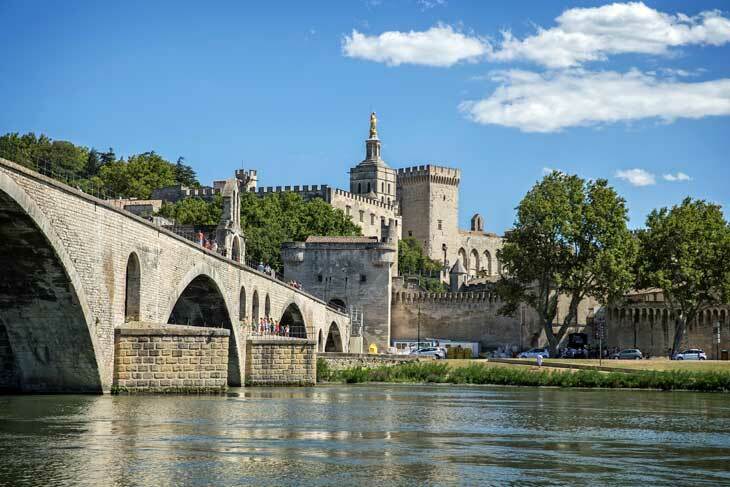 Avignon is a delightful city and there are plenty of interesting attractions. Here are some of them: the Petit Palais Museum, visit the colorful local market, take a trip out to the Pont du Gard, take a lunchtime cruise along the Rhone and discover Romans and Van Goghs in the nearby city of Arles. Carcassonne is a historic town defined by the impressive Medieval citadel. This fortified southern French city receives millions of tourists every year. Get ready to appreciate magnificent castles and walled structures that date back to the fourth century. Check the Cathar Castles, Lac de la Cavayere, the Basilica of Saints Nazarius and Celsus, the Lower City of Carcassonne or the Bastide de Saint Louis, the Fine Arts Museum, the Chateau de Lastours and Chateau Comtal while you are in the area. Please share your best experiences in France, in the comments below, on Twitter, Facebook or Instagram.